Second floor 4000 m² underground open-space, for a garage to be built. In Senago in Papa Giovanni XXIII Square, at only 10 km from Duomo Square of Milan. 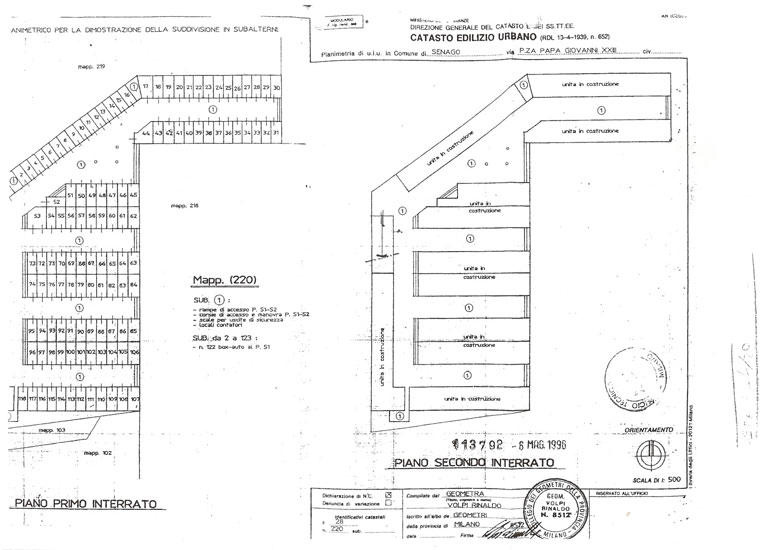 This consists of an open-space area of about 4000 m² to buy as a whole, for the construction of about 130 garages. The first underground floor has already been built, subdivided and sold to nearby residents. The bankruptcy of the building company has stopped completion of the remaining work, meaning the subdivision of the second underground floor, consisting of the construction of the partitions between one garage and another and installation of the individual garage doors has not been done. Gruppo R has purchased the entire unfinished floor at auction at a rather favourable price and intends to sell it to interested companies interested in a secure investment. Alternatively it would be possible to transfer the construction work Gruppo R is about to contract out.